Baylaurel Press Baylaurel Press is an independent publishing firm in Mill Valley, California devoted to written material and photography about military history, dogs, and outdoor adventure on land and sea. Baylaurel Press offers books, short stories and photography to inspire! If you ever wondered how it was to experience ground combat in Vietnam, or pursue Federal felons as a Special Agent of the FBI, or outmaneuver wildfire in the deep Oregon woods, or circumnavigate the San Juan Islands in ocean-going kayaks, or traverse on cross-country skis some of the most stunning terrain in the winter mountains, or experience the gratification of helping abused and abandoned hunting dogs reach their full potential, then join us on these epic journeys of exploration and discovery. Fur Kids: a Life with Dogs will provide useful insights into the dynamics of living with energetic, personable dogs who also are driven to experience the outdoors. 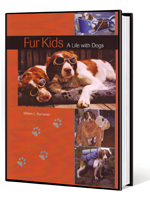 Written in memoir format, the book will reveal pointers on obedience and field training, feeding, travel, medical issues, outdoor experiences, and helping aging dogs live out their last days comfortably. 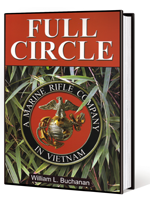 Mr. Buchanan’s memoir Full Circle: A Marine Rifle Company in Vietnam, the chronicle of G Company, 2nd Battalion, 5th Marine Regiment in 1966 and 1967. The book follows this infantry company from the cool uplands of the DMZ to the hot and humid rice paddies in Quang Nam Province while they thrust and parry with their main adversaries.